Health and Safety gets a lot of bad press and even today is sometimes seen as an industry full of jobsworths who are intent on creating misery and red tape. 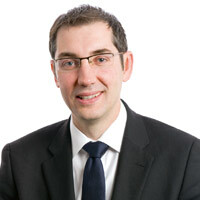 Somewhat surprisingly, this isn’t lost on the CEO of the British Safety Council (BSC), Alex Botha, who admits that just four years ago he looked at the industry in much the same way. During an interview with Work-It, Alex says that all too often the industry doesn’t help itself. He says: “Too many people working in Health and Safety take themselves far too seriously and you often hear sections of the industry banging on about things that are just stupid. The fact is, Health and Safety won’t always be the top of everyone’s agenda. There are lots of misconceptions about Health and Safety, sometimes you talk to people about it and their eyes glaze over. Indeed just a few years ago, Alex readily admits that his eyes often glazed over at the thought of Health and Safety. Originally from Pretoria in South Africa, he moved to London in 2000 to study an MBA after qualifying as a chartered accountant and working in investment banking. However, a strong desire to make a difference and change lives led him to explore other career opportunities. He explains: “I’ve always wanted to do something where I could help people and I was at a point where I felt I could marry this desire with my business skills. After the MBA and some time back in the corporate world I joined a homeless charity called Homeless Link as deputy CEO. The organisation represents other homeless charities and it taught me about the importance of policy, influencing and the role that member organisations play. Because it operated as a B2B charity, it was also a great foundation for my move to the BSC. “I worked at Homeless Link for four years but in 2010 I felt the time was right to move to a role with a stronger commercial angle. When I saw the opportunity at the BSC I wasn’t sure whether the Health and Safety industry would be right for me because of the preconceptions that come with it. However, after an hour talking to the interim CEO and doing some research I realised just how much there was to the job and knew it was an opportunity that I wanted to pursue. British Safety Council is built on firm foundations. What’s the history of the BSC? James Tye founded the BSC in 1957. He was widely regarded as Britain’s best-known, most articulate and fearless safety champion. His efforts helped to transform the British way of life in a huge number of ways including the introduction of car seat belts and the 1974 Health and Safety at Work Act. What is the vision of the BSC and how do you deliver it? Our vision is that nobody is injured or made ill at work and we are passionate about making this aspirational vision a reality. On a macro level we need the right legislative regulation in place so we do a lot of policy, influencing and campaigning work to support this. On a micro level, we work to help individuals and workplaces to improve their standards through training, auditing and our membership programme which is a crucial aspect because our members give us the credibility to operate at a macro level. How many members do you have and what types of organisations join the BSC? We have around 6,000 corporate members in more than 60 countries that employ millions of workers. We attract multinational organisations through to SMEs. A large proportion of members operate in the construction, manufacturing, transport, distribution and energy sectors. However we’re now starting to attract lots more members from low-risk industries. What is suddenly attracting employers from low-risk industries to join? The majority come to us with an emphasis on health rather than safety - typically things such as stress and wellbeing which are moving up the agenda. However all employers, regardless of industry, have to face basic safety issues so we can appeal to everyone. The heart of our operation is about sharing best practice and information through our publications, sector specific interest groups and industry guides. We also offer an online forum where people share views and information as well as 24 hour advice lines. 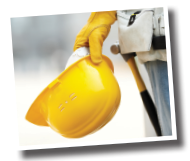 Members can use our logos and branding to demonstrate their commitment to Health and Safety. Many members also value the fact that we regularly liaise with the HSE. And what’s your relationship with the HSE? We work very closely with the HSE – the best way to describe the relationship would be to call us a critical friend. They are always interested in the views of our corporate members. 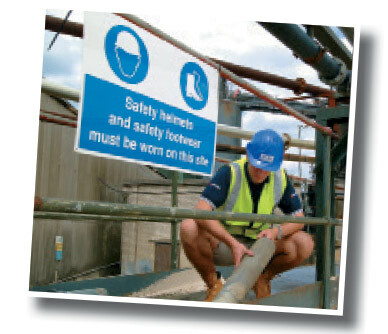 HSE formally consults us on changes to health and safety regulations and supporting guidance. We support their research where relevant and actively publicise and promote their campaigns. How do you assist the HSE when they are creating policies? When it comes to policy there are generally two approaches. You can stand outside protesting and shouting or work on the inside and discuss things sensibly to drive change and get things done. We definitely take the latter approach and our team works with people at the HSE across all levels. What countries does the BSC operate in? We’ve always worked globally and have great credibility throughout the world, especially in the Middle East, India and Africa. Many countries use the UK legislative and regulative frameworks as a base for their frameworks so we are a perfect fit for them. Are you branded as the BSC overseas? Yes, although there are pros and cons to this. British Health and Safety standards are widely regarded as the best in the world so we are well respected in lots of countries. However, many developing economies can be very nationalistic and want to demonstrate their own credentials and standards to the world, rather than doing it under a British flag. In some of these cases, and especially in countries where we have strong local knowledge, we will work with the regulators to help them establish their own frameworks. We are a not for profit organisation and all our revenue is self-generating with no grants or money from public bodies. We have a model where all our revenue generating activities, such as membership and training income, fund our non-revenue generating activities. So what type of non-revenue generating activities have you been involved with in recent years? We worked closely with London 2012 to help create the safest Olympic Games ever by giving more than £1million worth of services, which included training to 120,000 contractors involved in delivering the Games. In the last five years we have also given away 250,000 entry level qualifications to schoolchildren so young people entering the workplace have an understanding of basic Health and Safety. Is the work with school children part of an ongoing campaign? Yes, we currently have a campaign called ‘Speak Up, Stay Safe’ which aims to give children, who are typically aged between 14 and 19, the confidence to use their instincts and speak up when they spot a potential hazard or something dangerous and this will translate into the workplace. The schools are always extremely supportive and we also provide education packs that teachers can incorporate into their existing curriculum. What other campaigns are you currently running? Our ‘Business Benefits’ campaign is another key initiative that highlights the true cost of accidents, injuries and ill health to businesses. Our extensive corporate membership gives us real credibility in this area and it is a timely campaign because in the current economy businesses are placing a lot of emphasis on seeing a return on investment so it is proving to be extremely popular. We offer high-level training for Health and Safety professionals as well as a huge range of courses for employees that include entry level Health and safety awareness, fire safety, manual handling and risk assessments. We also continually develop sector specific courses. How do you deliver this training? Since the recession, we have become increasingly flexible on how we deliver training. We now offer e-learning, distance learning and face to face training, either at our Hammersmith Learning Centre or else our team will visit the client and this can be anywhere in the world. In recent months, our team has delivered training in Singapore, India, Kenya, Dubai, Brunei and Abu Dhabi.